3 Ardent Soldier 2,- Foil! 5 Benalish Emissary 4,- Foil! 7 Benalish Lancer 2,- Foil! 19 Harsh Judgment 9,- Foil! 20 Holy Day 2,- Foil! 22 Obsidian Acolyte 2,- Foil! 23 Orim's Touch 2,- Foil! 24 Pledge of Loyalty 3,- Foil! 25 Prison Barricade 2,- Foil! 26 Protective Sphere 2,- Foil! 28 Rampant Elephant 2,- Foil! 29 Razorfoot Griffin 2,- Foil! 31 Reviving Dose 2,- Foil! 32 Rewards of Diversity 4,- Foil! 35 Ruham Djinn 3,- Foil! 36 Samite Ministration 4,- Foil! 39 Spirit Weaver 3,- Foil! 40 Strength of Unity 2,- Foil! 41 Sunscape Apprentice 2,- Foil! 43 Teferi's Care 4,- Foil! 44 Wayfaring Giant 3,- Foil! 46 Barrin's Unmaking 2,- Foil! 49 Collective Restraint 24,- Ikke på lager! 53 Dream Thrush 2,- Foil! 55 Essence Leak 3,- Foil! 58 Faerie Squadron 2,- Foil! 62 Metathran Transport 3,- Foil! 63 Metathran Zombie 2,- Foil! 65 Phantasmal Terrain 2,- Foil! 69 Rainbow Crow 4,- Foil! 72 Shimmering Wings 2,- Foil! 73 Shoreline Raider 2,- Foil! 74 Sky Weaver 3,- Foil! 77 Sway of Illusion 4,- Foil! 80 Tidal Visionary 2,- Foil! 85 Vodalian Merchant 2,- Foil! 86 Vodalian Serpent 2,- Foil! 87 Wash Out 6,- Foil! 92 Agonizing Demise 2,- Foil! 98 Cursed Flesh 2,- Foil! 99 Defiling Tears 3,- Foil! 105 Exotic Curse 2,- Foil! 107 Goham Djinn 3,- Foil! 108 Hate Weaver 3,- Foil! 109 Hypnotic Cloud 2,- Foil! 112 Nightscape Apprentice 2,- Foil! 114 Phyrexian Battleflies 2,- Foil! 117 Phyrexian Reaper 2,- Foil! 118 Phyrexian Slayer 2,- Foil! 121 Reckless Spite 4,- Foil! 123 Scavenged Weaponry 2,- Foil! 124 Soul Burn 2,- Foil! 125 Spreading Plague 11,- Ikke på lager! 126 Tainted Well 2,- Foil! 131 Urborg Emissary 4,- Foil! 132 Urborg Phantom 2,- Foil! 133 Urborg Shambler 4,- Foil! 134 Urborg Skeleton 2,- Foil! 136 Ancient Kavu 2,- Foil! 146 Halam Djinn 3,- Foil! 147 Hooded Kavu 2,- Foil! 148 Kavu Aggressor 2,- Foil! 150 Kavu Runner 3,- Foil! 151 Kavu Scout 2,- Foil! 152 Lightning Dart 3,- Foil! 155 Maniacal Rage 2,- Foil! 159 Rage Weaver 3,- Foil! 160 Rogue Kavu 2,- Foil! 162 Savage Offensive 2,- Foil! 163 Scarred Puma 2,- Foil! 164 Scorching Lava 2,- Foil! 165 Searing Rays 3,- Foil! 166 Shivan Emissary 3,- Foil! 168 Skittish Kavu 3,- Foil! 170 Slimy Kavu 2,- Foil! 174 Thunderscape Apprentice 2,- Foil! 177 Turf Wound 2,- Foil! 179 Viashino Grappler 2,- Foil! 181 Aggressive Urge 2,- Foil! 184 Canopy Surge 3,- Foil! 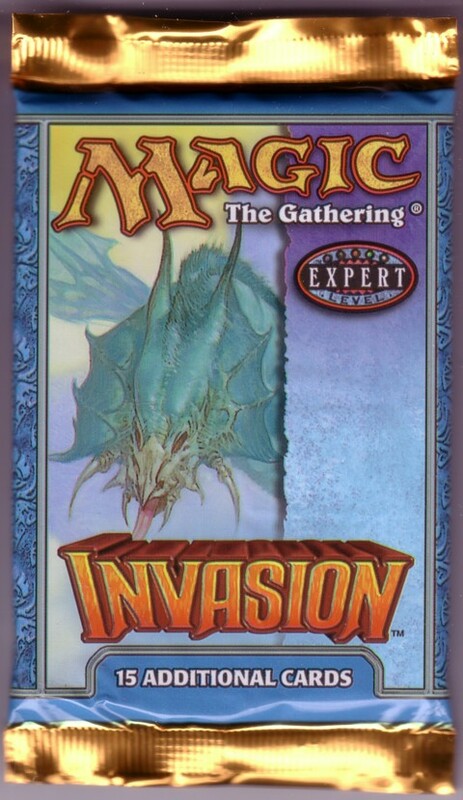 187 Explosive Growth 2,- Foil! 191 Kavu Chameleon 4,- Foil! 192 Kavu Climber 2,- Foil! 195 Llanowar Cavalry 2,- Foil! 196 Llanowar Elite 2,- Foil! 197 Llanowar Vanguard 2,- Foil! 198 Might Weaver 3,- Foil! 200 Nomadic Elf 2,- Foil! 201 Pincer Spider 2,- Foil! 204 Quirion Sentinel 2,- Foil! 207 Rooting Kavu 3,- Foil! 211 Serpentine Kavu 2,- Foil! 212 Sulam Djinn 3,- Foil! 215 Thornscape Apprentice 2,- Foil! 218 Treefolk Healer 3,- Foil! 221 Verduran Emissary 3,- Foil! 222 Vigorous Charge 2,- Foil! 224 Wandering Stream 2,- Foil! 225 Whip Silk 2,- Foil! 226 Absorb 48,- Ikke på lager! 247 Frenzied Tilling 2,- Foil! 248 Galina's Knight 2,- Foil! 251 Horned Cheetah 3,- Foil! 252 Hunting Kavu 4,- Foil! 256 Meteor Storm 9,- Foil! 258 Ordered Migration 4,- Foil! 260 Plague Spores 2,- Foil! 263 Reckless Assault 9,- Foil! 266 Riptide Crab 3,- Foil! 269 Samite Archer 4,- Foil! 274 Slinking Serpent 3,- Foil! 275 Smoldering Tar 3,- Foil! 283 Urborg Drake 3,- Foil! 284 Vicious Kavu 3,- Foil! 288 Voracious Cobra 5,- Foil! 289 Wings of Hope 2,- Foil! 291 Yavimaya Kavu 3,- Foil! 297 Alloy Golem 3,- Foil! 309 Power Armor 3,- Foil! 312 Sparring Golem 3,- Foil! 324 Irrigation Ditch 2,- Foil! 331 Plains 2,- Ikke på lager! 332 Plains 2,- Ikke på lager! 333 Plains 2,- Ikke på lager! 334 Plains 3,- Ikke på lager! 335 Island 3,- Ikke på lager! 336 Island 3,- Ikke på lager! 337 Island 3,- Ikke på lager! 338 Island 2,- Ikke på lager! 339 Swamp 3,- Ikke på lager! 340 Swamp 2,- Ikke på lager! 341 Swamp 2,- Ikke på lager! 342 Swamp 2,- Ikke på lager! 343 Mountain 2,- Ikke på lager! 344 Mountain 2,- Ikke på lager! 345 Mountain 2,- Ikke på lager! 346 Mountain 2,- Ikke på lager! 347 Forest 2,- Ikke på lager! 348 Forest 3,- Ikke på lager! 349 Forest 2,- Ikke på lager! 350 Forest 2,- Ikke på lager!